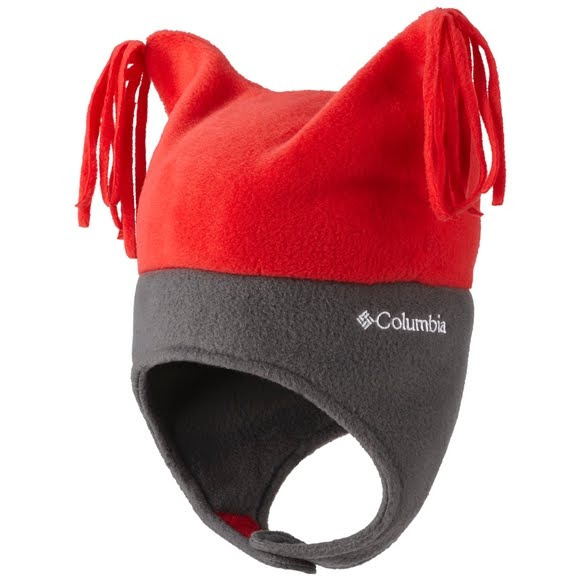 The Toddler Pigtail Hat from Columbia is the best way to keep your little one's head warm. MTR fleece is soft, warm, and lightweight, and is comprised of densely knitted polyester fibers that retain heat, even when wet. These pigtails have chinstraps and a perfect child's style. Get your camera ready! The Toddler Pigtail Hat from Columbia is the best way to keep your little one&apos;s head warm. MTR fleece is soft, warm, and lightweight, and is comprised of densely knitted polyester fibers that retain heat, even when wet. These pigtails have chinstraps and a perfect child&apos;s style. Get your camera ready! Maximum Thermal Retention fleece is a strong performer for Columbia season after season. A quick drying, non-pilling polyester stretch fleece that is a reference for lightweight warmth and breathablility.